The beautiful landscape of Big Bend National Park in West Texas. 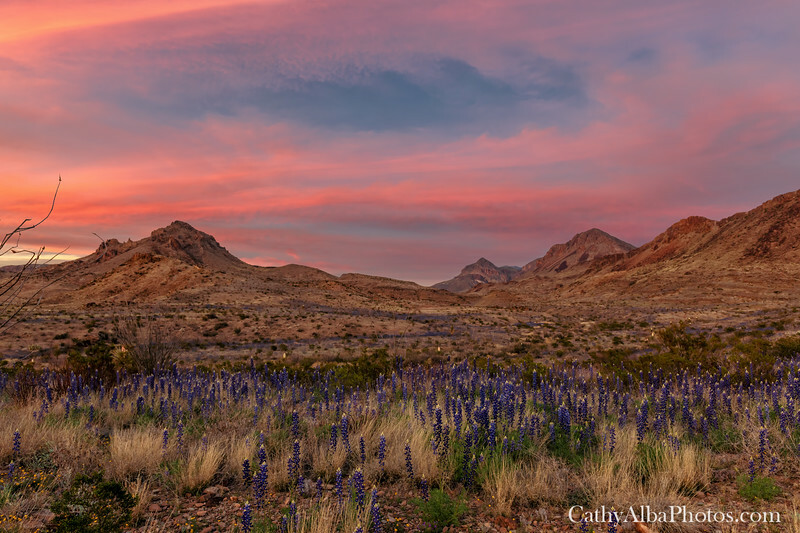 Big Bend Sunset and Bluebonnets. The beautiful views of bluebonnets and the mountains in Big Bend National Park.